You are at:Home»iPhone»Apps»Bitmoji Not Working On Your iPhone? Here’s The Fix! Bitmoji Not Working On Your iPhone? Here’s The Fix! Bitmoji won’t work on your iPhone and you don’t know what to do. Bitmoji is an app that lets you create fun and personalized emojis, so it’s disappointing when you’re not able to send them. 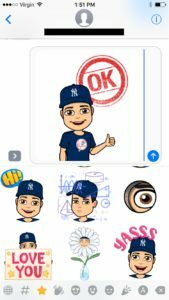 In this article, I’ll show you how to turn on the Bitmoji keyboard and explain what to do when Bitmoji is not working on your iPhone. How Do I Turn On The Bitmoji Keyboard? In order to send Bitmojis to your friends and family, we need to make sure the Bitmoji keyboard is turned on after you install the Bitmoji app. To turn on the Bitmoji keyboard, begin by opening the Settings app. Tap General -> Keyboard -> Keyboards -> Add New Keyboard. Under “Third Party Keyboards,” tap Bitmoji to add Bitmoji to your list of keyboards. Next, tap Bitmoji in your list of keyboards and turn on the switch next to Allow Full Access. You’ll know the Bitmoji keyboard is on when the switch is green! 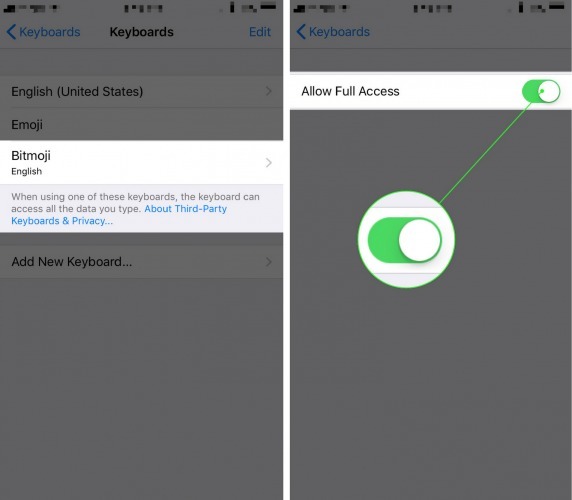 Finally, after turning on the switch next to Allow Full Access, tap Allow when the message Allow Full Access for “Bitmoji” Keyboards? appears on the display of your iPhone. Once you have turned on the Bitmoji keyboard, return to the Messages app and see if your Bitmojis are there. The Bitmoji Keyboard Is On, But I Can’t Find It! Even if you have the Bitmoji keyboard turned on, it can be a little difficult to find, especially if it’s your first time using the app. To access the Bitmoji keyboard, begin by opening the app you want to use to send a Bitmoji. I’ll use the Messages app to demonstrate. Open a conversation and tap the iMessage text field to access the keyboard of your iPhone. In the lower left-hand corner of the keyboard next to the space bar, tap the icon that looks like a globe . The standard emoji keyboard will appear (unless you have it turned off). Next, tap the ABC icon in the lower left-hand corner of the keyboard to access your custom Bitmojis. Tap on the Bitmoji you want to send to copy it. Finally, tap the iMessage text field and tap Paste when the option pops up on the screen of your iPhone. Your Bitmoji will appear in the text field and you can send it to your friend or family member. The Keyboard Is On, But Bitmoji Still Is Not Working! What Do I Do? If you’ve turned on the keyboard, but Bitmoji still won’t work, your iPhone is almost certainly experiencing a software issue. The troubleshooting steps below will help you diagnose and fix the problem for good! Our first troubleshooting step is to turn your iPhone off and back on again. Shutting off your iPhone allows all the little programs that run in the background to reboot and start again. If a minor software glitch has occurred in the background of your iPhone, restarting your iPhone may fix the problem. To turn your iPhone off, begin by pressing and holding the Sleep / Wake button, which is more commonly known as the power button. After a few seconds, a red power icon and the words Slide to power off will appear on the display of your iPhone. Swipe the red power icon from left to right to turn off your iPhone. Wait 30-60 seconds, then press and hold the Sleep / Wake button until the Apple logo appears on the display of your iPhone to turn it back on. Next, make sure you’ve updated to the latest the version of the Bitmoji app. Developers often update their apps to fix any bugs or software glitches. If you’re using an outdated version of the app, you may experience those technical issues. To check for an update to the Bitmoji app, go to the App Store. 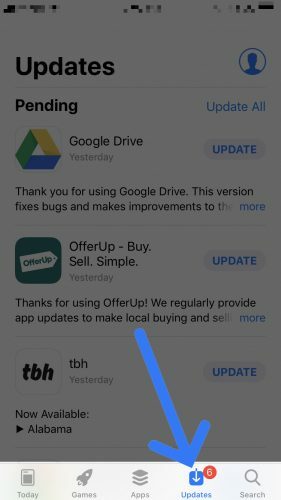 Tap Updates in the lower right-hand corner of the App Store and a list of available app updates will appear on your iPhone’s display. If an update is available for Bitmoji, tap the blue Update button to the right of the app. If you have the most up to date version of the Bitmoji app, but it’s still not working on your iPhone, check to see if an iOS update is available. Sometimes, a major iOS update can cause specific apps to malfunction. In fact, when Apple released iOS 10, the Bitmoji keyboard stopped working for many iPhone users after they installed the update. To check if an iOS update is available, open the Settings app and tap General -> Software Update. If a iOS update is available, tap Download and Install at the bottom of the Software Update menu. You’ll be prompted to enter your iPhone passcode before your iPhone downloads and installs the latest iOS update. 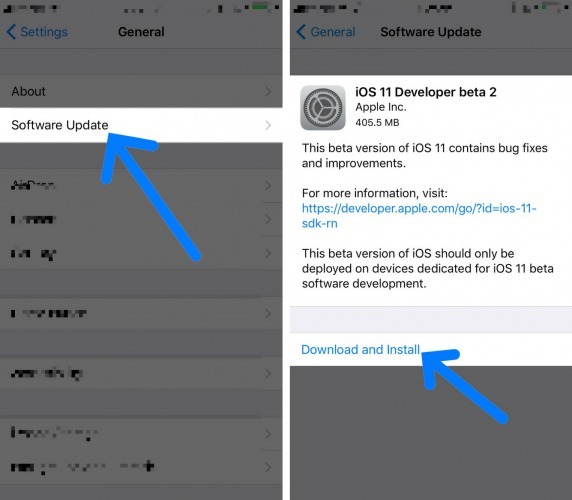 After the iOS update downloads, tap Install if your iPhone doesn’t update itself automatically. Make sure your iPhone is plugged into a power source or has at least 50% battery life, otherwise your iPhone won’t be able to install the iOS update. After your iPhone installs the update, your iPhone will reboot. A Fully Functional Bitmoji Keyboard! 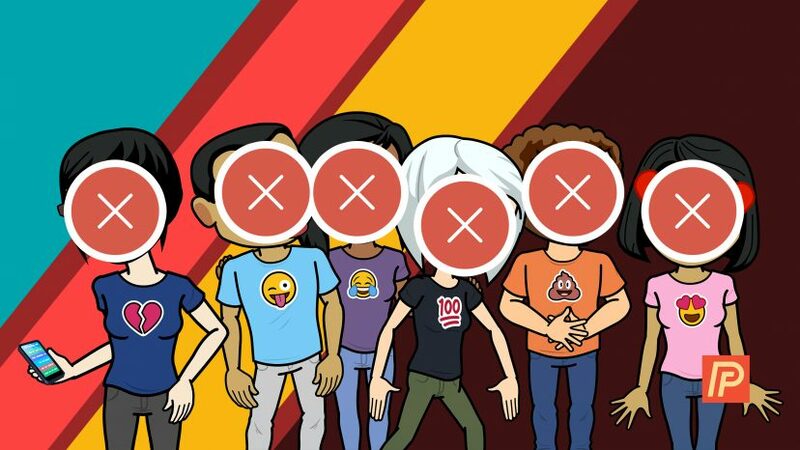 You’ve successfully set up the Bitmoji keyboard and you can start sending custom emojis to all of your contacts. We encourage you to share this article on social media so your friends and family know what to do when Bitmoji is not working on their iPhone in case they decide to ever install the app. Thanks for reading this article, and I hope to hear from you in the comments section if you have any other iPhone questions! Previous ArticleMy iPhone Says “Scam Likely”: Here’s Why It Happens! Next Article My iPhone Won’t Play Voicemails! Here’s The Real Fix For Verizon, AT&T, & Sprint.